Amy Chua's parenting techniques say a lot about a Chinese culture that glorifies suffering, lacks individual rights, and tells mothers they're only as good as their kids. I was dumbfounded when I read “ Why Chinese Mothers are Superior,” an excerpt of Amy Chua’s book published in the Wall Street Journal one week ago in which she details some of her draconian methods of child rearing. I have to say none of the Chinese mothers I know in China behave that way. Ms. Chua, a law professor from Connecticut with two daughters, is quite alone in believing her superiority. 1. Traditional China values women by the children they raise. Muyizigui is an age-old Chinese saying that means a mother is only worth as much as her son. This must have made things even worse back when polygamy was permitted in China, until 1949. One can imagine all the determined wives competing with each other through their children. 2. The glorification of suffering. 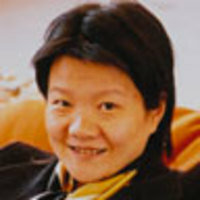 This is not unique to Chinese mothers or Chinese culture, but Chinese do believe “eating bitterness” is necessary and vital in order to achieve success. Passion and enjoyment are irrelevant. Chinese wear their pain as a war veteran wears his medals. As Ms. Chua has made clear, suffering earns one bragging rights. It would be totally pointless if Ms. Chua's daughters actually enjoyed playing the musical instruments she has them practice day in and day out. 3. The Chinese, as a people, were deprived of individual rights. Since the individual rights of parents are not guaranteed, it is natural that parents would see fit to deprive their children of the same. Success means one can impose one’s will on others. • Lisa Miller: Amy Chua Talks about Her Controversial BookDespite these three deeply rooted bits of cultural heritage, however, most Chinese mothers have adopted a more enlightened mindset in bringing up their children. To make sure I wasn't mistaken about this, I posted a synopsis of Ms. Chua’s article on my Weibo (the Chinese version of Twitter.) Immediately, hundreds of people responded. While many confirmed my belief, quite a few of the responses came from young people claiming that they were treated the same way Ms. Chua treats her daughters. All of them claimed to be unhappy as children; none of them expressed any gratitude toward their parents. There were also quite a few angry responses from local Chinese moms. It is ironic that as young Chinese mothers in Beijing and Shanghai are embracing more enlighted Western ideas about child raising, mothers from Connecticut are sinking deeper into China’s darker past in child rearing.